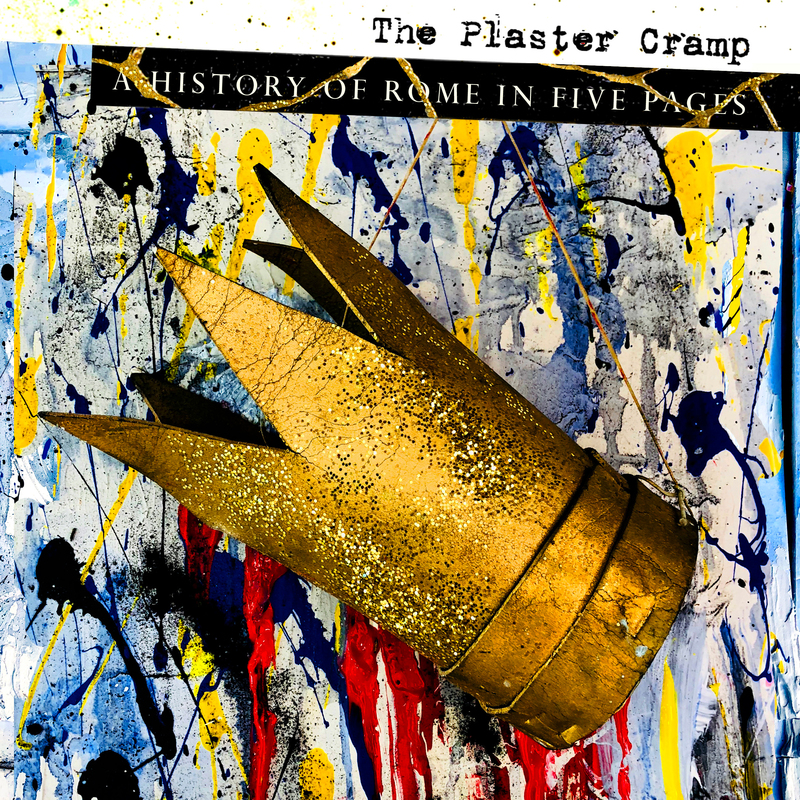 A History of Rome in Five Pages is the new record by The Plaster Cramp. Find it online wherever you listen to music. The Plaster Cramp presents an experimental, improvisational, live-in-the-studio music performance show on Radio Free Brooklyn. The weekly, hour-long show is called Improbable Confetti and airs Thursdays at midnight. 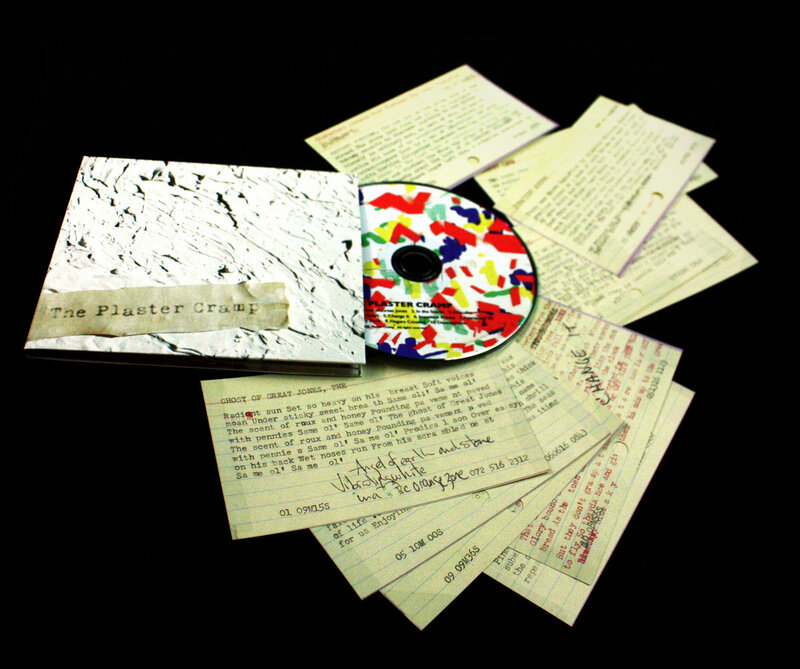 CDs of The Plaster Cramp are available. Each package contains a set of 10 library-card-catalog-style index cards with lyrics and information about each track. The sets were finished by hand, including being individually numbered by the band. 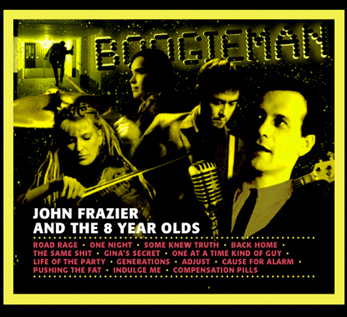 Music videos by The Plaster Cramp, John Frazier and the 8 Year Olds, and Not Waving But Drowning, plus a variety of live performance clips. "Most kings get their head cut off." Sure enough. The latest release from The Plaster Cramp. Written, performed, recorded and produced by The Plaster Cramp. Mixed by John Frazier. "Sons and daughters come to dance!" 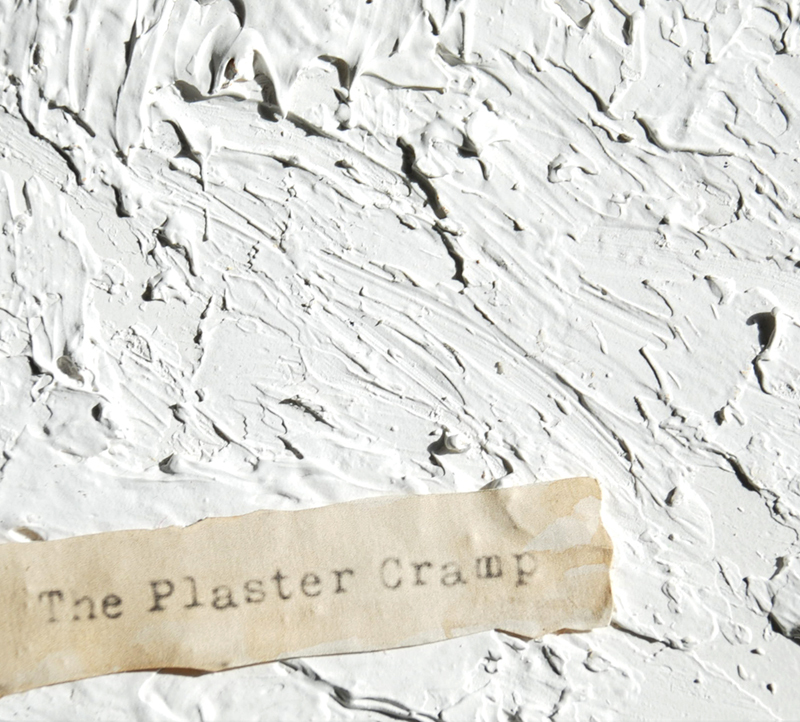 Enticement as command from new experimental art rock band, The Plaster Cramp. The ten compositions on this debut collection span a surrealistic conga line from NYC to the Pleiades. 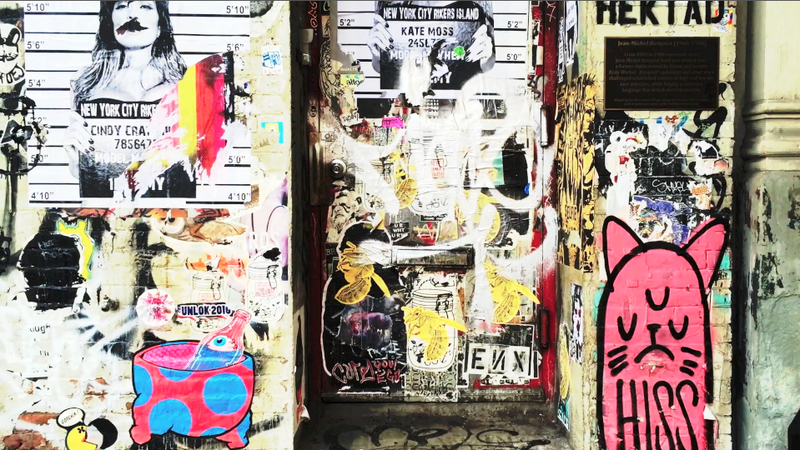 An exquisite corpse of downtown rock, post-punk, apocalyptic soul and cosmic jams. Listen to "The Ghost of Great Jones"
Musically revelrous, but lyrically so very much about death; that's the bargain struck by Not Waving But Drowning on this, their third record. "Red Hand" alludes to thievery of all sorts — whether through the tale of a cross-dressing bandit of the 1600s, the relentless creep of Alzheimer's disease, or the intrigues of a courtesan turned international spy. Nearly all ending in the demise, timely or not, of the songs' protagonists. 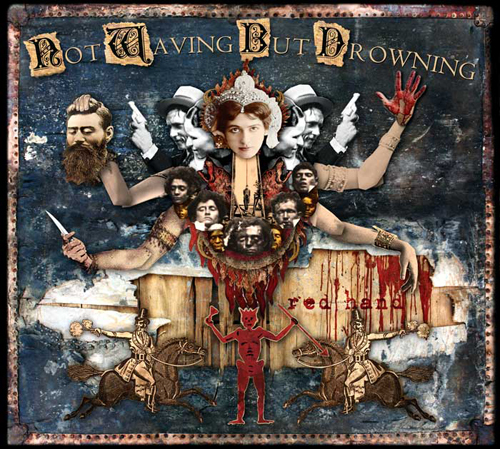 Written, performed, and produced by Not Waving But Drowning. Recorded by Ben Riesman, John Frazier, and Matthew Talmage. Mixed by John Frazier. or it rains, snows. Fluid, variously. The sun shines. The moon, bright on the water. Paralysis of winter; re-purpose of spring. 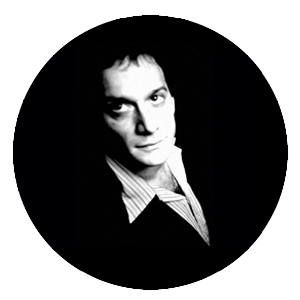 Listen to "Little Red Shoes"
Written, performed, produced, recorded, and mixed by John Frazier. The group makes a joyful noise with everything from violas to vibraphones, banjos to bones, trumpets to tamburas, guitars to garbage cans to giant brass geese. Not content with merely banging on inanimate objects, they also corralled a chorus of forty friends to add to the fanfare on these songs of mystery, adventure, and poisoned love. Funny hats were worn in the making of this record. Listen to "Thanks a Lot, Lancelot"
Written, performed and produced by Not Waving But Drowning. 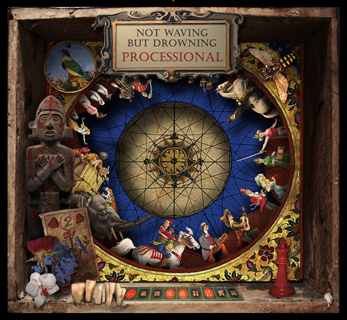 Recorded and mixed by Jeremy Forbis. A lot of this was by the seat of the pants. That energy, often urgency, is found throughout "Boogieman" — a new wave punk rock record for urban carousing post-9/11. What you find the next morning is bound to feel a bit odd. Written and performed by John Frazier and the 8 Year Olds. 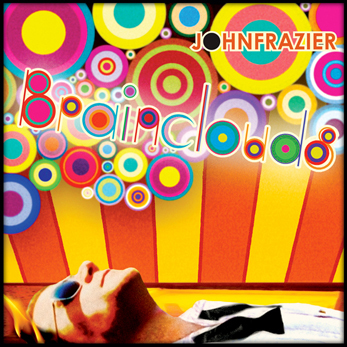 Produced, recorded and mixed by John Frazier. A rollicking tour through a rag and bone shop, where a jazz funeral marches through an indie rock show, strains of high lonesome harmonies sing out from a smoky blues club, and buzzing electric guitars meet dusty instruments left in an attic. 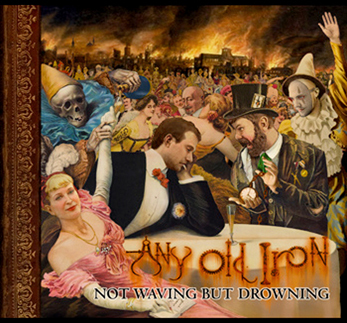 Written, performed, and produced by Not Waving But Drowning. Recorded, mixed, and produced by Stuart Lerman. A quirky and intimate collection of indie pop/rock songs. Assembled with the help of several household items and held together with humor, reverb and that thing over there. 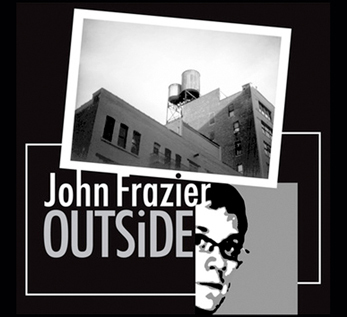 Written, performed, produced, recorded and mixed by John Frazier.